were against in-country targets, and here I assign to the word “target” its most relaxed meaning. Mainly, we attacked infrastructure, hoping, I suppose, to make it more difficult for VC or NVA troops to live off the land. Often it came down to blowing up hooches in government-declared free-fire zones. The Saigon regime had supposedly rounded up and relocated all the friendlies out of these zones so we were cleared to attack anything that moved or could possibly support the insurgency. But we also bombed tree lines at the edge of built-up areas, spots where an active imagination could picture troops gathering; or jungle trails, fancying this would impede enemy movement; or thickly wooded areas close to trails, pinning our hopes on their potential to hide equipment and supplies. At the end of each sortie, the FAC graded our work. 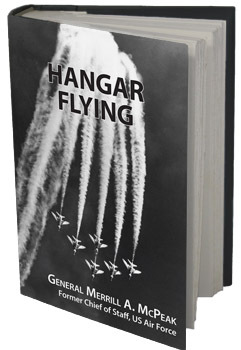 Here might be a summary involving grass huts, haystacks and a small sluice gate: “Seven military structures destroyed, two supply caches uncovered, one water support system damaged.” Every day an impressive scorecard flowed from each of the fighter wings into the headquarters at Saigon, creating the statistical certainty of victory. The pilots knew better. Our nickname for these missions was “trees in contact,” a corruption of “troops in contact,” one of the few mission categories that was not pointless. Troops in contact. Supposedly, people on the ground shooting at each other. The Army often gave the term a more liberal interpretation, but when it was authentic, this was the best kind of mission because there was actual trouble and our side needed help. In late June, I led a four-ship to the aid of the Special Forces camp at Ben Het. Like many others, this small station was located in the Central Highlands, where Special Forces A teams worked with Montagnards, gathering intelligence and setting ambushes. These were tough guys, often under attack because their camps were plopped down astride infiltration routes. Ben Het was the archetype, only six miles from the tri-border juncture, in the middle of rush-hour traffic. The appearance of these camps was always the same and would be recognized at once by engineers who designed the fortress systems that replaced medieval castles. An opening in the forest was found or created to clear interlocking fields of fire and a double or triple row of concertina wire was strung around a central redoubt of low, sandbagged huts with tin roofs. Dug in and resupplied by air, the Snake Eaters could hold out indefinitely, or until the NVA brought in heavy weapons. When we arrived on scene at Ben Het, the bad guys were already inside the wire. I saw what looked like bunk-bed mattresses laid over the concertina at several places, each mattress forming a sort of bridge. The camp looked tiny, maybe 200 meters wide at the outer wire. I told the FAC I’d bomb this close to friendlies only as a last resort. He said, “OK, how about strafing between the rows of wire?”—which we did, carefully, but with enthusiasm. Fighter aircraft from all over the country converged on Ben Het and eventually lifted the siege. We all welcomed this kind of sortie. But far more often it was trees in contact instead. One thing the Air Force can do is generate combat power. By mid-1969, we’d built an elaborate base structure, turned on the pipeline, and settled into a routine, producing awesome sortie rates, at least during daylight hours. In an endless loop, aircraft launched, delivered munitions and returned to be armed and launched again. We could and did suspend operations in the North from time to time as part of various diplomatic initiatives, but the in-country treadmill had no pause feature. Unhappily, the targets were not so well organized. Even high-intensity combat is often by nature episodic, with battles coming only after prolonged calms of preparation. Even so, in contemporary, industrial-age conflict, our style of nonstop sortie generation is a good match to the requirement because we can discover and attack the other side’s preparations. Here, in-country in 1969, our highly developed technique for producing a large, steady stream of daylight combat sorties went one-on-one with a yesteryear target array that presented itself rarely, suddenly, in low profile, and usually at night. As a consequence, we very seldom had a target worth attacking. But we produced and consumed the sorties anyway, as though to make the machine work we had to exercise it. As for the first question, the overall theater commander has ultimate responsibility for target selection, but if we are to win at reasonable cost the process must be “joint.” That is, the senior airman and his staff should qualify and nominate air targets for the commander’s review and approval. This did not happen in South Vietnam. Bright, well-intentioned Army officers, who thought they knew something about air fighting (or thought they didn’t need to), picked all the targets. The Air Force, with plenty of hands-on, hard-won experience, was excluded from participation. We’d earned a place at the targeting table but were never given one, a sad failure to make effective joint use of armed forces. Regarding intelligence, the failure was as serious and more obvious. We invested an enormous amount of time, money, and talent on the intelligence problem and, in the end, never could reliably locate the targets we knew were there. Success on the battlefield requires that the marriage of intelligence to operations be fruitful. If intelligence is barren, there won’t be offspring, no matter how potent the operator.